The canes are covered by a mound of dirt with a nice extra protection layer of snow, we have actually received a few more inches of snow since this photo was taken. 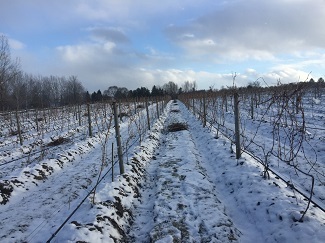 We are in the process of removing the pruning leftovers in the trellis wire and piling them up for removal from the vineyard. 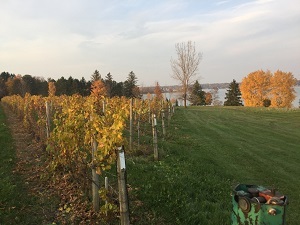 Notice how on the row on the left of the first photo the “brush” has been removed from the trellis vs the right side, which has not yet been removed. 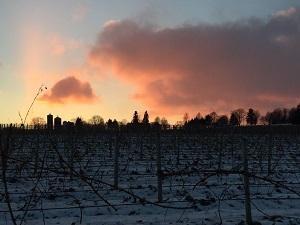 We pile up the leftover canes and take them out of the vineyard to remove any overwintering fungus. 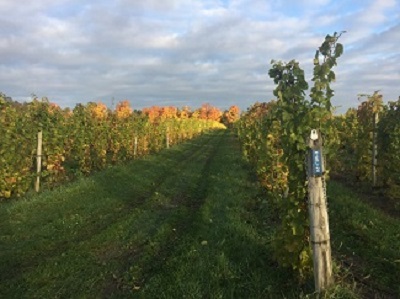 I've also included a few late fall 2016 and early winter 2017 photos from the vineyard. 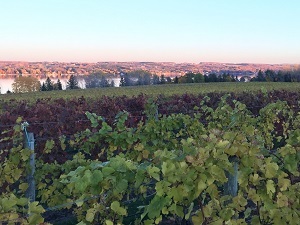 It's a beautif ul crisp day in the Village of Skaneateles! 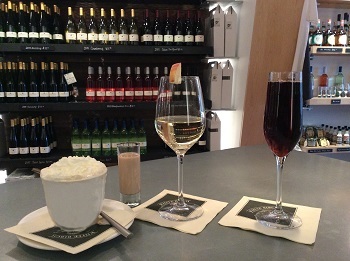 Stop into the White Birch Vineyards Tasting Room on your way home to enjoy a glass of wine, a bourbon cream coffee or an Irish coffee. We now use a local roaster, Java Joe's of Binghamton, for our fresh ground coffee. Just another one of our delicious Central NY products! The tall glass is our traditional Irish coffee. It's made using Java Joe's fresh roast coffee, Mackenzie Pure Pot Still Irish Style Whiskey, two spoonfuls of real brown sugar and layered on top with heavy whipping cream! Sure to delight your tastebuds! The coffee cup is Java Joe's Fresh roast coffee, Black Button Bourbon Cream, topped with heavy whipped cream. 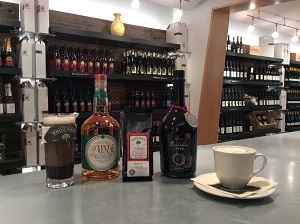 Come in today and let us make you one our delicious new winter beverages! Would you love to give a Holiday gift that is as easy to purchase as it is enjoyable? 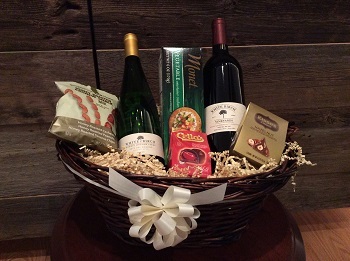 White Birch Vineyards Tasting Room has perfect gift baskets ready to purchase, or customize your own. 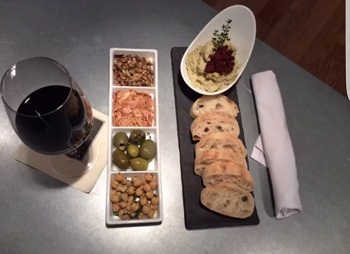 Take a moment to enjoy a tasting while you're here!